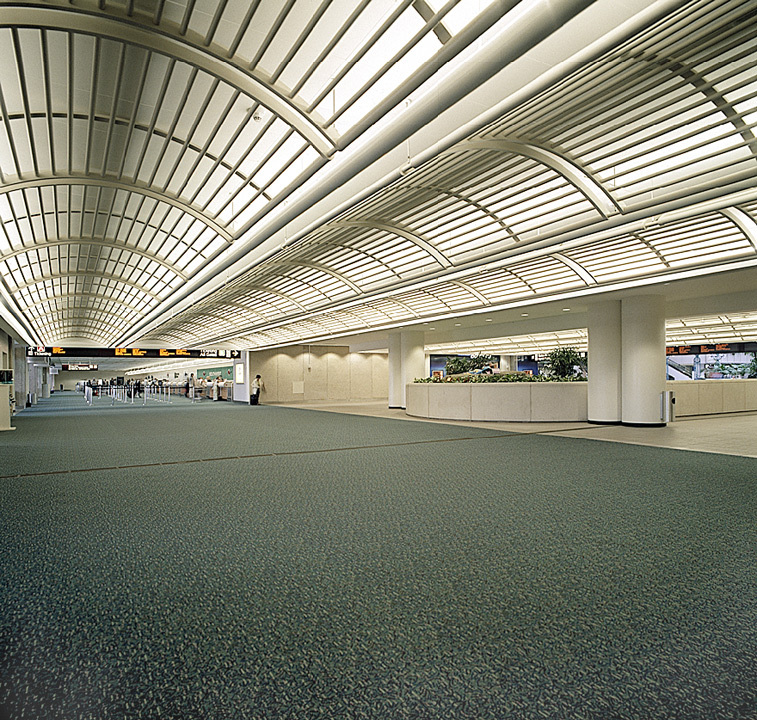 Borrelli + Partners’ scope of services included architecture and interior design associated with the design and development of the Northeast Landside Improvements at Orlando International Airport. The Northeast Landside Improvements project fulfilled a number of needs at the Landside Terminal. 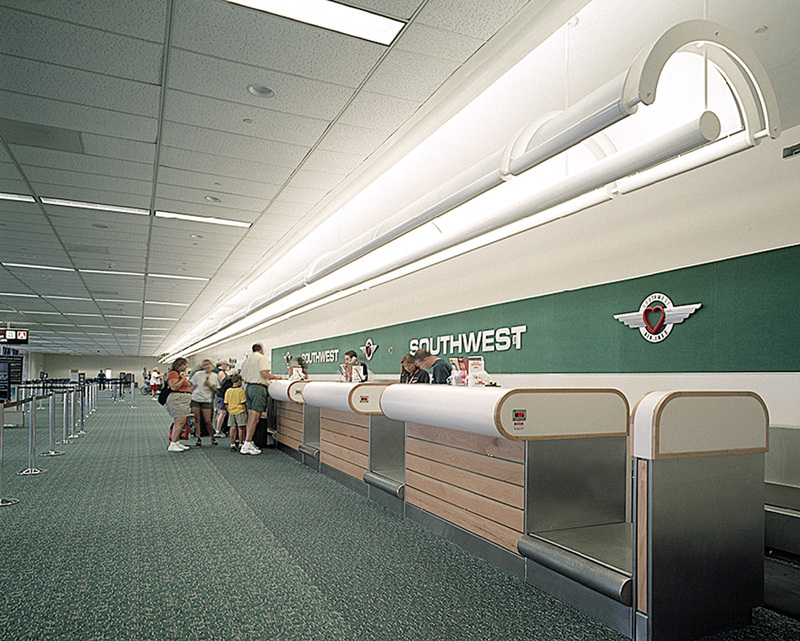 The Terminal Development Plan Phase II identified a demand for additional baggage claim, bag make-up, ticket counter and Airline Ticket Office capacity. This demand coupled with the addition of Airside 2 also required new security checkpoints, completion of the Automatic Ground Transportation station, and restroom expansions. 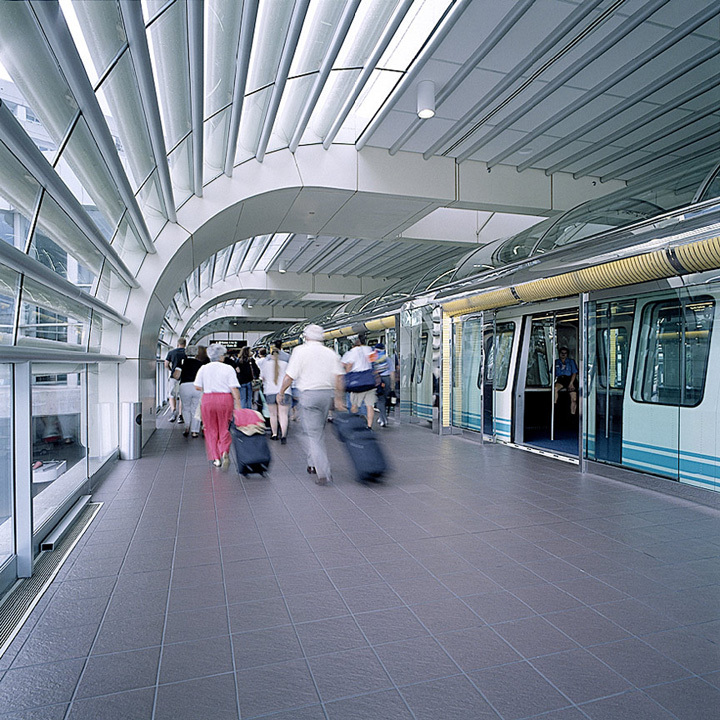 The project included the build-out of the bag make-up area, the bag claim area, ticket area for the addition of 42 ticket counters, conveyance system and Flight Information Display System, new public restrooms, new Security Screening area for three security check points and two re-check centers, and the Automatic Ground Transportation Station with glass train and stainless steel enclosures. Our responsibilities included review of applicable components of the project for completeness and compliance with applicable Federal and Local codes, GOAA Design standards, and FAA regulations. 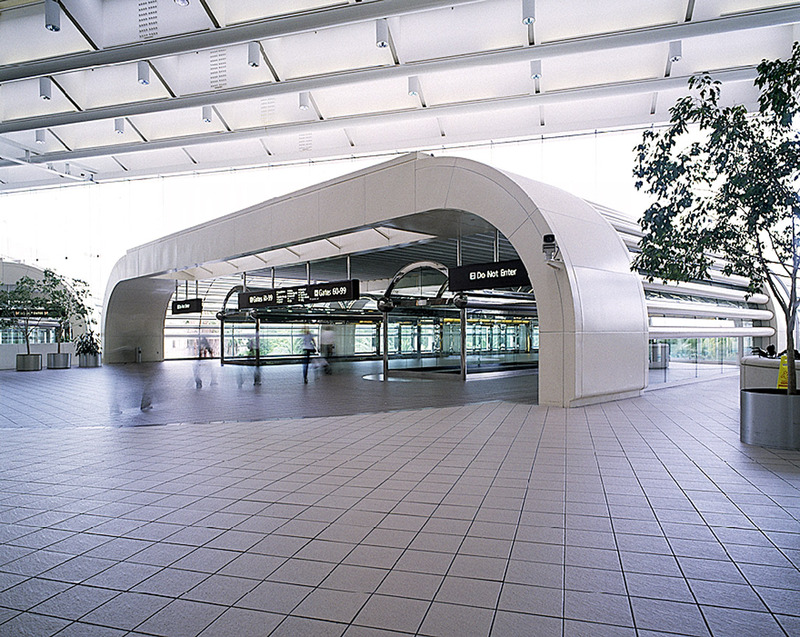 This project also consisted of the construction of two new Curbside Check-in Kiosks with an outbound baggage conveyance system, a new vertical circulation core connecting levels two and three.